Pancreatic cancer patient advocacy organisations from around the world came together in 2013 to discuss working together to raise global pancreatic cancer awareness and work collaboratively to support each other’s efforts. It was clear that by working collaboratively, we could have a much greater impact than the sum of our parts. So we swiftly moved into action with the launch of the inaugural World Pancreatic Cancer Day in 2014. World Pancreatic Cancer Day quickly became a global success. Each year, outreach, visibility, and engagement continue to grow across the world. Because of its success, we decided to take our efforts one step further and launch a formal World Pancreatic Cancer Coalition in 2016 with more than 40 organisations from over 20 countries across the globe. Each November, during Pancreatic Cancer Awareness Month, we come together on World Pancreatic Cancer Day to unite the globe in bringing attention to pancreatic cancer and highlighting the need for greater awareness, funding, and research. By standing in unison against this deadly disease, we can create a brighter future for people fighting pancreatic cancer around the world. 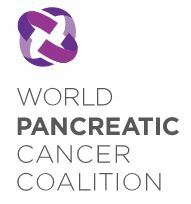 Visit WPCD and www.worldpancreaticcancerday.org for more information. 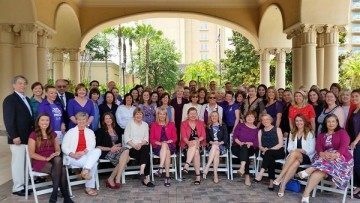 The World Pancreatic Cancer Coalition’s launch and inaugural meeting was held in May 2016 in Orlando, Florida. Over 50 Coalition members from nearly 20 different countries attended the meeting – representing the largest ever-global gathering of pancreatic cancer patient advocacy groups. At the meeting, participants shared experiences and expertise and discussed how, working together, the World Pancreatic Cancer Coalition can help achieve transformational change for all those affected by the disease. Ali Stunt shares her thoughts about the meeting and how the coalition is planning to work together to improve outcomes for pancreatic cancer patients across the world.